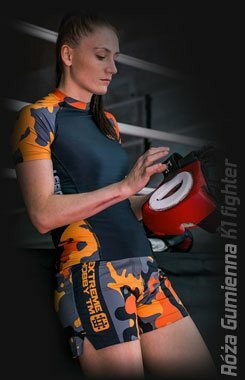 Extreme Hobby casual clothing combines a unique design with the highest quality and comfort that others can only envy. HUSH LINE Extreme Hobby T-shirt. When you value the quality of the EH product, and minimalism is a conscious resignation from what limits you in your material life. This is not about asceticism, it's about the pleasure of dealing with the best things. T-shirt signed with our popular "hashtag". BOXING Extreme Hobby T-shirt. Jack Dempsey as Mighty Mick's inspiration - Boxing Way of Life. This is how our proposal for boxing lovers was created. 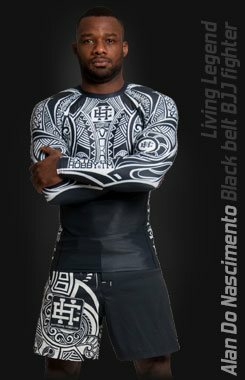 BJJ Extreme Hobby T-shirt. Helio Gracie as inspiration of Mighty Mike's - Brazilian Jiu Jitsu Way of Life. That's how our proposal for BJJ lovers was created. WRESTLING Extreme Hobby T-shirt. Aleksander Karelin as inspiration of Mighty Mike's - Wrestling Way of Life. This is how our offer for inventory lovers was created. 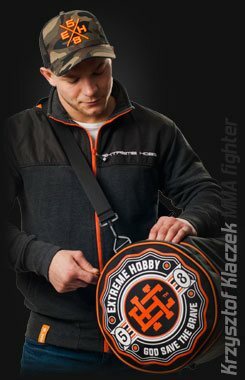 MMA Extreme Hobby T-shirt. Randy Couture as the inspiration of Mighty Mike's - MMA Way of Life. This is how our offer for MMA lovers was created. DEATH BEFORE DISHONOR Extreme Hobby T-shirt. KILLER CARDS Extreme Hobby T-shirt. VENI VIDI VICI Extreme Hobby T-shirt. Longsleeve Extreme Hobby VENI VIDI VICI. POLSKA GODŁO Extreme Hobby T-shirt. 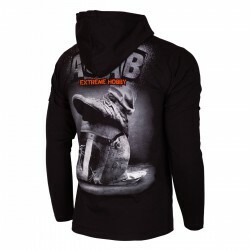 Longsleeve Hooded Extreme Hobby POLSKA GODŁO, characterized by high quality material. Imprints are enhanced effects HD and gel. Cut was created by us from scratch for a sense of comfort and originality. Longsleeve Extreme Hobby POLSKA GODŁO. SPEEDWAY Extreme Hobby T-shirt. For over three years we have been cooperating with the top Polish speedway clubs creating for them collections of clothing for players and fans. We also have the honor to dress the Polish Team in speedway rides. It is time to present our first proposal of a T-shirt directed to the supporter of this extremely extreme black sport. ACAB Extreme Hobby hooded t-shirt. 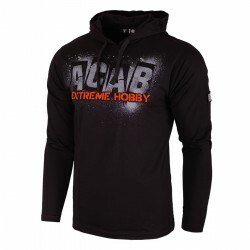 Longsleeve Hooded Extreme Hobby ACAB, characterized by high quality material. Imprints are enhanced effects HD and gel. Cut was created by us from scratch for a sense of comfort and originality. WHY SO SERIOUS? Extreme Hobby T-shirt. Extreme Hobby. Many fans are expecting this position. As every year since almost the beginning of EH, we offer you the model Why So Serious? The graphics depict Heat Ledger as Joker, the most famous opponent of Batman. We are proud of this T-shirt and we hope that it will meet the requirements of fans of the series. Longsleeve Extreme Hobby WHY SO SERIOUS? BÓG HONOR OJCZYZNA Extreme Hobby T-shirt. Longsleeve Extreme Hobby BÓG HONOR OJCZYZNA. THE WORLD IS YOURS Extreme Hobby T-shirt. PUBLIC ENEMY Extreme Hobby T-shirt. CONDEMNED Omerta Extreme Hobby T-shirt. Something for real Omerta fans. In fact, it's our return to the title of San Quentin, which was emphasized by a signature woven into a pattern. See this, and the T-shirt will certainly speak to you.